Planning on moving? Well here’s a list of common packing mistakes during a move that people have made. Packing at the Last Minute –You probably looked around your home and said to yourself, “I don’t have that much stuff, I can pack a few days before the move.” As you begin to pack 3 days before your move, you realize you underestimated your belongings. Don’t be that person. No matter how big or small your home is, or how much stuff you do have, give yourself enough time to pack your belongings properly. This is one of the very common packing mistakes people making for a move. Free Boxes-Who doesn’t love free things? You saw how much it can cost to purchases new boxes from the postal office and almost had a heart attack. Using free boxes is fine too but make sure you check the quality of them. Since these boxes have been used before, they might not hold up as they would if they were new. In other words, do not put your heaviest belongings within the used boxes or overfill them. Throwing Random Things-Its best not to just dump all your belongings into a box. Just throwing things into a box, may cause disaster later. Especially when you are looking for something or when you are carrying the box out it falls open from the bottom. Overflowing Your Boxes-As much as you may want to keep your sets all in one box, you may have to split them apart from each other to avoid overflowing the box. The same goes for clothes. You do not want the boxes to get very heavy when they can cause injury to you or your movers. But as stated in number 3, you do not want the box to fall open and all of your contents fall onto the ground. Not Labeling Boxes-Label your boxes! There’s nothing worse than opening random boxes trying to find your bath towels. It may sound so silly to forget, but it does happen. But this is one of the common packing mistakes that happen more than others. 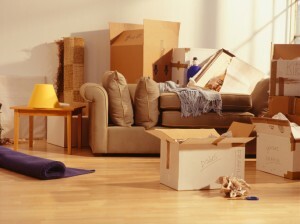 Not Wrapping Your Furniture- So that your furniture is protected during your move. Make sure your furniture is properly wrapped. This is a way to avoid scratches, ripping, and possibly even breaks. Packing Needs Last-When loading your moving truck, make sure you load your essentials last. So that they’ll be the first thing you see when you open your truck. There’s nothing worse than loading your essentials first, and unable to get to them because they are at the back of the truck. 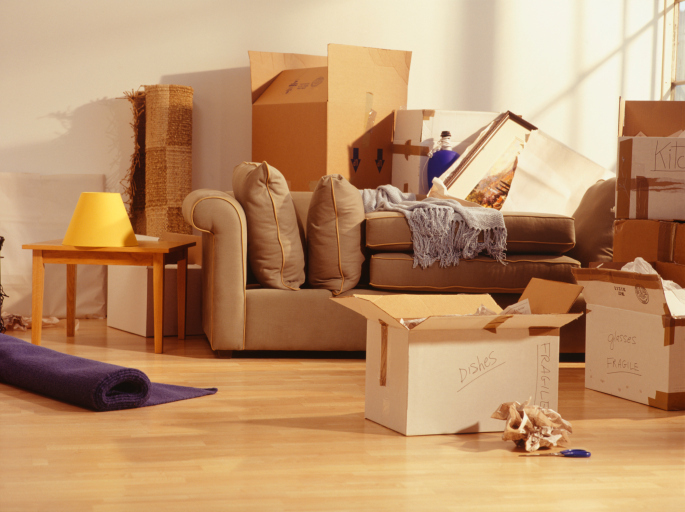 Cut Costs-While your packing your belongings, you might come across things you do not want anymore. Do not pack them up with your things you plan on moving with you, you can donate them, sale them or just give them away. Doing it Yourself-Another one of the common packing mistakes is trying to do all the packing yourself. If you need assistance please have your family, friends and movers help you with your packing. Some movers will actually help you properly wrap your furniture, before you book your movers it’s wise to ask them if they do. Research- Maybe this tip should be listed on the top as one of the most common packing mistakes, but it’s. Before you pack make sure you do some research on how to pack certain items, you can find articles or even find videos on YouTube. Need movers for your next big move? Well contact Garrett’s Moving & Storage at www.garrettsmovinginc.com or call us at 972-487-5843. This entry was posted in FAQ's, Moving Stories, Stress Free Moving Tips and tagged apartment, apartment moving, boxes, dallas long distance movers, dallas movers, estate, estate movers, free boxes, last minute, long distance moving, long distance moving companies., mistakes, movers, Moving and Storage Dallas, moving company, Moving Tips, Moving to Dallas, packing, packing mistakes, stress free move, stress free moving. Bookmark the permalink.